After a few weeks under pressure in the kegs my first two "return to extract brewing" experiments are ready to taste. Both of them turned out well, clean (no mythical extract twang) and surprisingly pale. If you are an all-grain brewer I'd suggest giving an extract batch a shot if you are short on time some day. You may not have quite as much control as you are used to, and it may cost a bit extract, but it can certainly produce excellent results. Appearance – Slightly hazy golden-orange body. Certainly lighter in color than most people think an extract beer can be, and certainly no darker than my decocted all-grain hefeweizen (if anything it might be a bit lighter). Nice looking creamy white head, with good retention, but not much lacing. Smell – Pretty mellow aroma, a slight hint of banana and some spice. It is lacking the bready/yeasty character that great hefes have, but that may be more a result of the kegging (and the lack of yeast) rather than the extract. As the beer warms it begins to show a hint of sulfur, hopefully that will pass with a bit more age. Taste – The flavor is similar to the aroma, very subdued. The ester character is only banana and a pretty restrained one at that. It is supported by some classic clove notes (not as much as I like though, the ferulic acid rest certainly seems to have boosted the clove in the all-grain compared to this). Pretty dry with just a touch of hop character to balance the slight sweetness. It has a slight carbonic bite to it from the high carbonation, which adds a touch of acidity to the beer. Mouthfeel – Moderate-thin body with a nice firm carbonation. As it warms and the carbonation beings to wane it comes across as thin, but fresh out of the tap it is just refreshing. Drinkability & Notes – A solid beer, but it doesn't have the complexity that my all-grain version did. I would like to try this recipe again to a bit higher gravity and with Wyeast 3068 (rather than White Labs 300) which seemed to give me a more complex ester profile. Appearance – Another really great creamy head with great retention, and nice coating lacing. The body is a shade darker (probably due to the liquid extract) and a bit hazier (probably because it is a week younger than the hefe). Smell – Great complex nose with notes of pepper, and lemon. There is even some breadiness from the malt, or maybe that is just a bit of suspended yeast. Taste – Great complex phenol character, clove, cinnamon, and pepper. Almost saison like, but not quite that dry. There are some esters as well, pear with a light touch of banana, but the low fermentation temperature kept them moderate. Good balance with just a touch of herbal hop, not as much as I expected from an ounce of hallertau at 5 minutes. It could be a bit drier, but I wouldn't call it sweet. Mouthfeel – A bit fuller than the hefe, with moderate carbonation. Could be a touch thinner/crisper, but it is very drinkable as is. 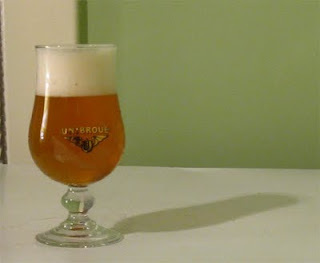 Drinkability & Notes – One of the better non-sour Belgian beers I have made, good balance with plenty of complexity. I'll be interested to see where this one goes with a bit more age, hopefully it doesn't clean up too much in the keg. I'll certainly be brewing this one again, although I might boost the sugar to help it finish a bit drier. 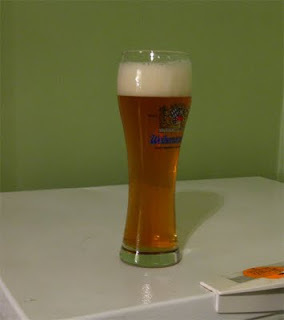 When I teach brewing we start by making a couple of dry malt extract beers, one of them being a German wheat beer. They are simple but tasting recipes, the hefe is just DME with one hop addition. I have never had the exract twang in the beers although I have heard that others have had that experience using old (oxygenated) liquid malt extract. Have you tried the Fermentis WB-06? I have enjoyed a variety of liquid weizen yeasts but seem to trend back to it. I have not tried WB-06. So far I have heard mixed things, some people love it, and others don't think it stands up to the liquid versions. I really liked 3068, but so far 300 has not impressed me. I may give the dry a try next time around to mix things up. i made a very similar 5 gallon batch based on your SIngle recipe. I could only get my hands on Styrian Goldings and WL Abbey Ale yeast. Other than that I used all of the same technique and ingredients. I bottled with corn sugar for a change, ( as I've been exclusively using raw sugar as of late and wanted to try a change up),. Primary was intense. Everything just kind of exploded, added an blow off tube and let it do it's thing. The smell coming out was nothing less than awful; meaty, farty, rotten. I was very scared that the batch had been ruined somehow. I threw caution to the wind and racked to a secondary and let it sit for the requisite two weeks and then bottled. They've been bottled now for coming up on two weeks. I threw a 12oz in the fridge this morning and cracked it open about 4 hours later. Result: Delicious! Big fruity nose and lovely lacing. I'm bad at descriptives for taste but it really blew me away. Easy tags would be fruity, spicy and complex yet also very simple and easy to drink. I'd imagine after another week or so in the bottle they will be near perfect. A little on the hazy side even though I used the Whirlfloc. The only negative I can provide is that there is just something missing in the body. 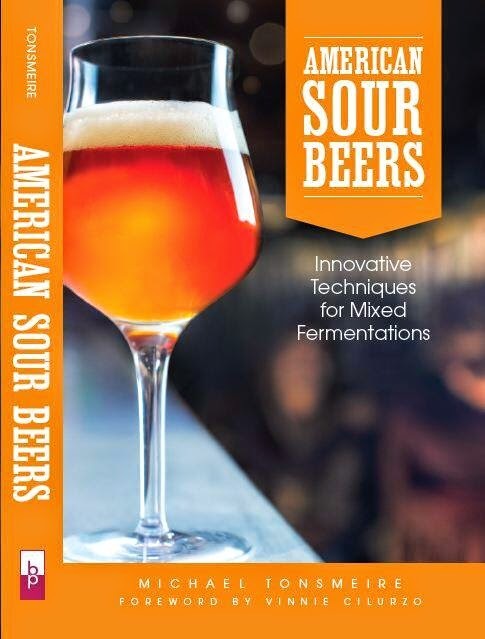 To new to homebrewing to be any more detailed about that, but, just kind of needs to have more mouthfeel I suppose. Other wise, a truly awesome, easy, recipe! Cheers! Sounds delicious, glad it worked out. The body may improve with a bit of age, often the carbonation takes more than 2 weeks to really find an equilibrium (it will probably clear up too). I was really pleased with the way my batch turned out, I'll have to give it a try again. I know you posted this a long time ago now but I made the Lazy Monk 3 weeks ago and cracked the first bottle last night. I made it with Wyeast 1388 strong belgian ale yeast. I'm getting a lot of banana from it. Could it be that I fermented it too warm? I wasn't measuring the temp where it was fermenting but it can't be more than 19-20C. apart from the banana it's very good though. nice, dry and spicy. It's still young in the bottle so hopefully it will get better with age. Even if the ambient temperature was 20 C the actual temperature of the beer could have been 22-23 C with the heat produced by fermentation. Not really hot for a Belgian strain, but warm enough to cause the yeast to throw some extra banana (isoamyl acetate). Luckily banana is one of the quickest esters to fade, give it a few weeks and odds are it will have calmed down. Glad it sounds good otherwise, let me know how it works out. Thanks for the reply Mike. I'll give it a bit longer. You'll be glad to hear that the banana is now down to a perfect level. a touch of pear, which gives a hint of sweetness. It's turned into a lovely beer. Did your's change much over time after the first few weeks? Glad to hear! This batch was kept cold and went pretty quickly on tap, so I never got to see much change. The similar all-grain batch I brewed a couple months ago has been changing slowly. First the banana dropped, then it seemed a bit hoppier, and now it has continued to mellow.